Château La Croix 2015 Pomerol has just won the Silver Medal at the Independent Winegrowers’ Competition 2018. Château Haut Sarpe 2016 St Emilion Grand Cru Classé has just won the Bronze Medal at the General Agricultural Show in Paris this year. Award: le Château Haut-Sarpe received the Gold Medal at the Feminalise Competition de Beaune 2011 for its Red 2009. Le Château Haut-Sarpe 2015 St Emilion Grand Cru Classé was awarded two Gold Medals, one at the Paris Agricultural Show 2017 and the other at the Féminalise Competition 2017. Le Château Castelot 2015 St-Emilion Grand Cru was awarded a Bronze Medal at the Paris General Agricultural Show 2017 and a Gold Medal at the Féminalise Competition 2017. Le Château La Croix 2014 Pomerol was awarded the Silver Medal at the Paris Agricultural Show 2016 and the Gold Medal at the Féminalise Competition 2016. Le Château Haut-Sarpe 2014 St-Émilion Grand Cru Classé was awarded the Silver Medal at the Féminalise Competition 2016 and the Bronze Medal at the Paris Agricultural Show 2016. Le Château Vieux Sarpe 2014 St-Emilion Grand Cru was awarded the Bronze Medal at the Féminalise Competition 2016. Les Châteaux La Croix (8ème) et La Croix Toulifaut (45ème) were given excellent marks in " The Grand classification of Bordeaux wines - Vintage 2007". 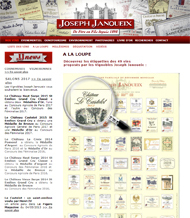 Le Château Haut-Sarpe and le Château La Croix have just received the Diploma of Excellence of Flavours from France, selection 2012. 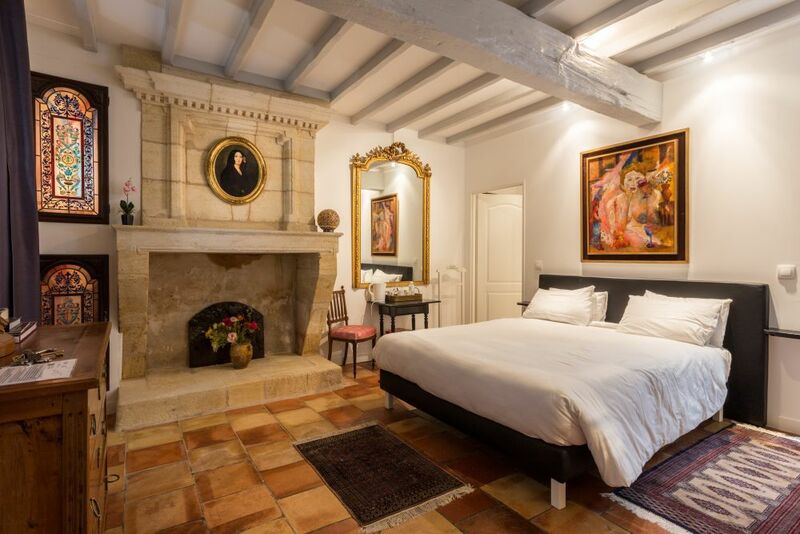 Organise your events all year round in the sumptuous setting of Château Haut-Sarpe in Saint-Émilion (weddings, receptions, meals, concerts). Le Château Haut Sarpe received the Best Of Gold 2012, which establishes the richness of its heritage, in the category Art and Culture. Superb gites with views of the vineyards are available to relax in while you take in the charm of an exceptional landscape.